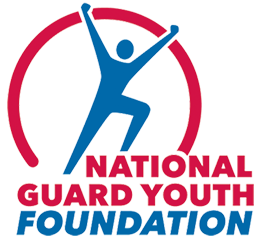 ALEXANDRIA, Va. – The National Guard Youth Foundation (NGYF) congratulates Mr. Leon Tellez-Arizmendi, a graduate of the Oregon Youth ChalleNGe Program in Bend, Ore. for being selected as the December Cadet of the Month. Mr. Leon Tellez-Arizmendi will be awarded a $1,000 scholarship from Catapult Technology, a generous supporter of NGYF and the ChalleNGe Program. When I was a child I had a dream. My mother, sister and I lived in a spare garage that we rented out from the homeowners. Even though I was unaware of it, that garage is where my dream began – my dream that was discovered, forgotten, and then eventually found once again. Growing up I saw other children playing with their parents. They always looked so happy. My dream was to have a family that I could play with, that I could love, and that I could protect. Even at a young age I understood the value of a family. Though my dad was long-gone, my mother did the best she could. When I was seven years old I made the worst mistake of my life. The memories I loved and the dreams I had faded away. It was not until last year that I recovered my values and obtained my motivation. The Oregon Youth ChalleNGe Program was, and still is, a fundamental component to achieving my dreams. During the residential phase I not only surpassed my physical and mental limits, I unlocked my true persona and the mindset to attain my dream. While I didn’t realize it at the time, all the sweat, all the pain, and all the frustration I overcame evolved me. I have been cleansed of my uncertainty, my worries, and above all my doubt; the doubt I had in myself that gnawed at me every day; the doubt that told me I was useless and that my dream was unattainable. Because of ChalleNGe, my negativity has not only been dissolved, it has been replaced. Replaced with determination, with pride, and above all with confidence; the confidence that makes me certain I WILL achieve my dream. In the coming years I will continue my schooling and pursue a higher education. During the last five months since graduating ChalleNGe I have achieved straight A’s, perfect attendance, and have been labeled as a model student by my college teachers.